Staying healthy is a priority for me, and one thing I love to do is walk! It seems to get the endorphins flowing, it encourages logical thinking and it’s not too hard on the knees! 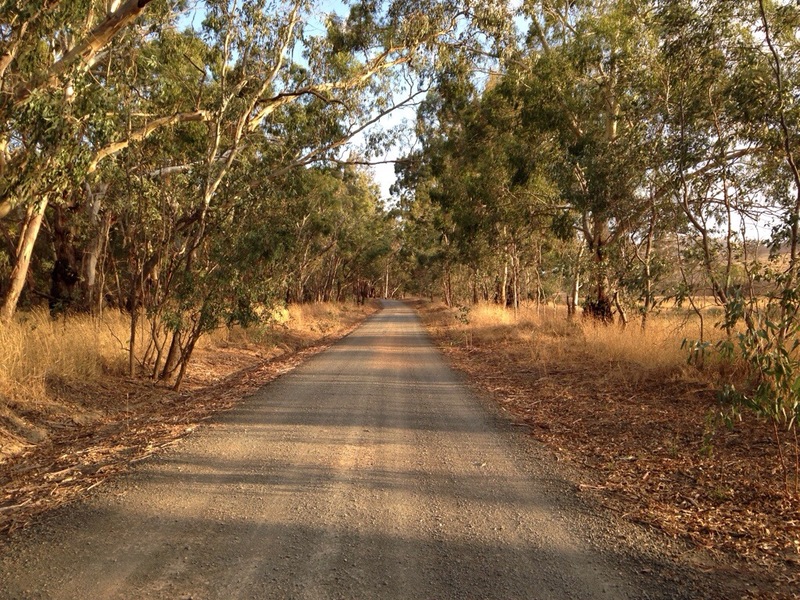 And right near our farm is a fabulous dirt road that’s the perfect place to walk it out. There’s always a friendly neighbour driving past to wave to and we’ve seen plenty of ‘other’ neighbours including echidnas, kangaroos and the neighbours’ Hereford girls. And with this as our view this evening, we think we’ll take the long way home! There’s some beautiful Autumn colour in the garden at the moment, and it’s not just in the trees. Our carrots are looking good enough to eat! A lush green top is a good indication that your carrots are ready for the picking. Gently brush away the dirt at the top of the carrot – depending on the type, the diameter should be between 2.5-3cm. 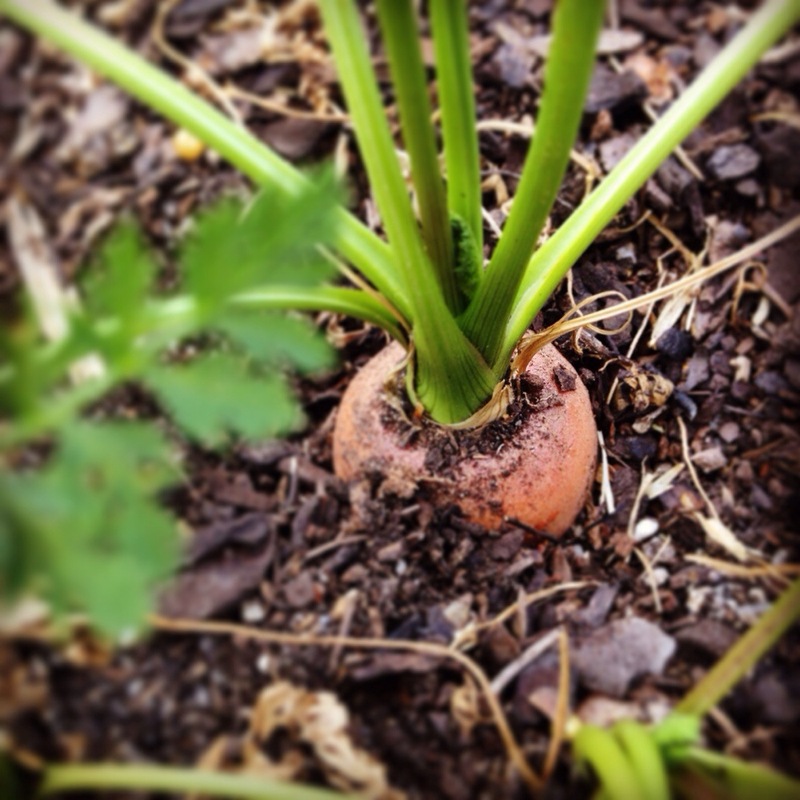 Carefully slide downwards into the dirt along the length of the carrot with your finger. If it’s too short, leave the carrot for about a week, then check again. Ours are looking pretty good and because I’m in a baking mood, I’m thinking carrot muffins! This weekend at Mulberry Tree Farm saw the season change to Autumn. It’s been a hot summer and we’re lucky that we still have feed for The Boys. 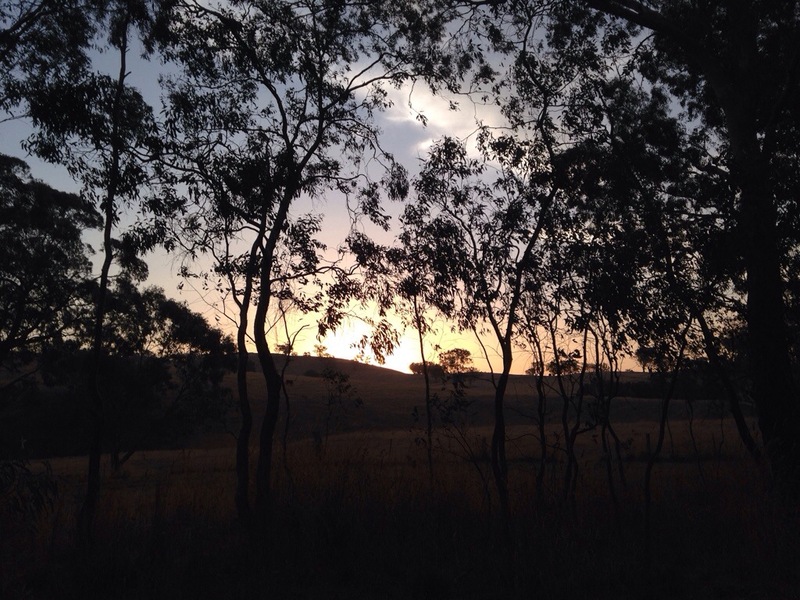 Drought is a very real and scary prospect for farmers, and our thoughts are with all who are experiencing this. The changing seasons are my favourite, and I’m looking forward to the leaves turning and bursting with colour. We’ll be preparing the veggie patch for its autumn crop of broccoli, onions and radishes! So farewell Summer. Thank you for our tomatoes and peaches and mulberries. And for the beautiful sunsets! 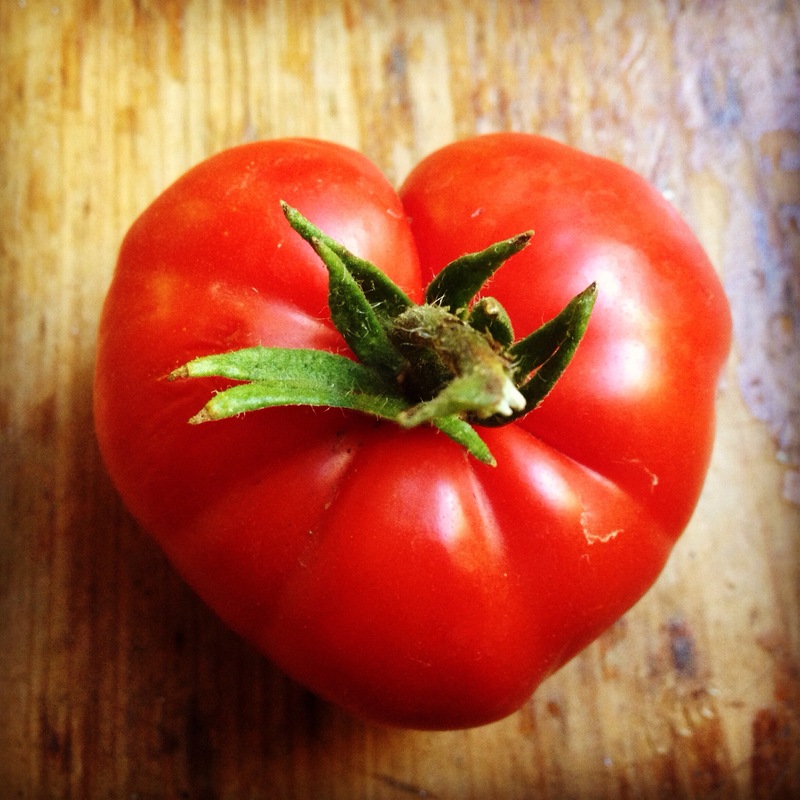 Things are looking particularly rosy in our veggie patch at the moment. The tomatoes are ready and ripe for the picking! We’ve had a very productive season with last year’s left over tomatoes sprouting themselves! Nature has a wonderful way of rejuvenating itself that I think even Lana Del Ray would appreciate! With these plentiful pickings, our family and friends love us! 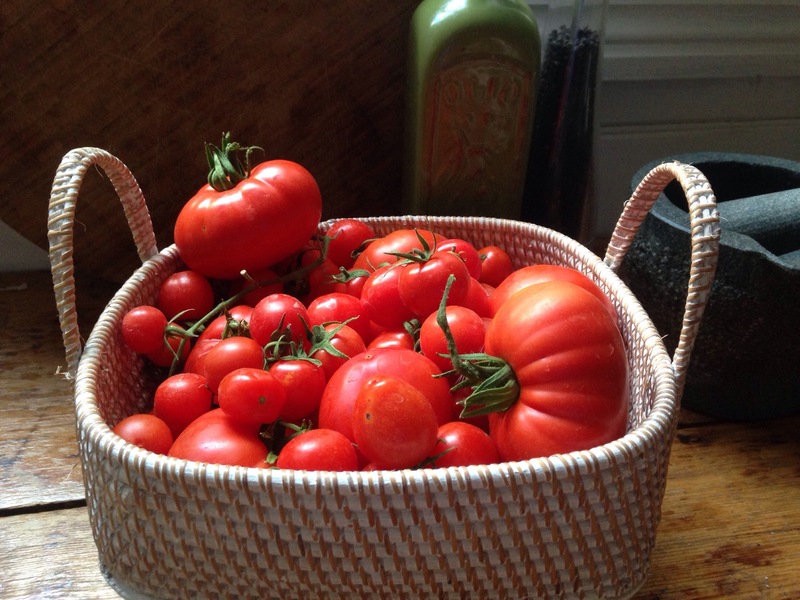 And with this beautiful seasonal produce, soon I’ll be sourcing tomato passata recipes in readiness for winter stews and pasta dishes to enjoy these blushing beauties year-round. 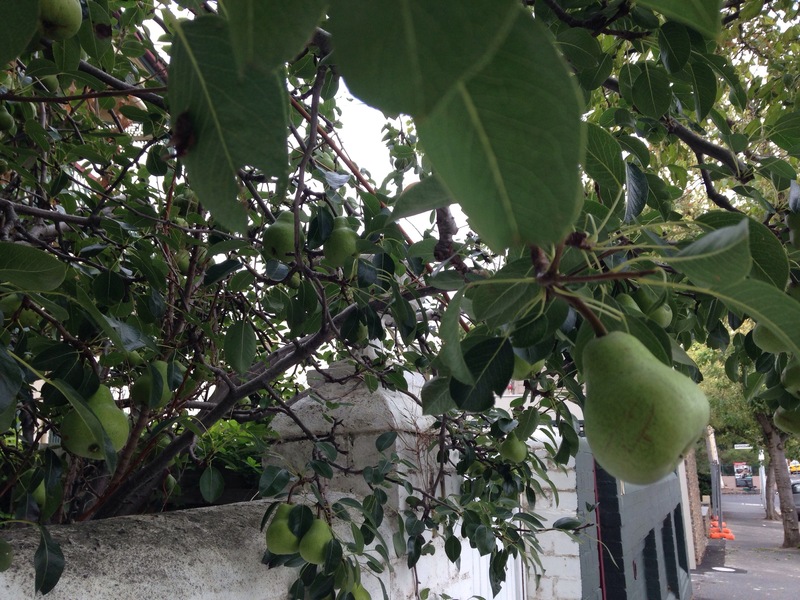 We’ve just returned from a trip to the Big Smoke and were super excited to see street trees beating fruit! 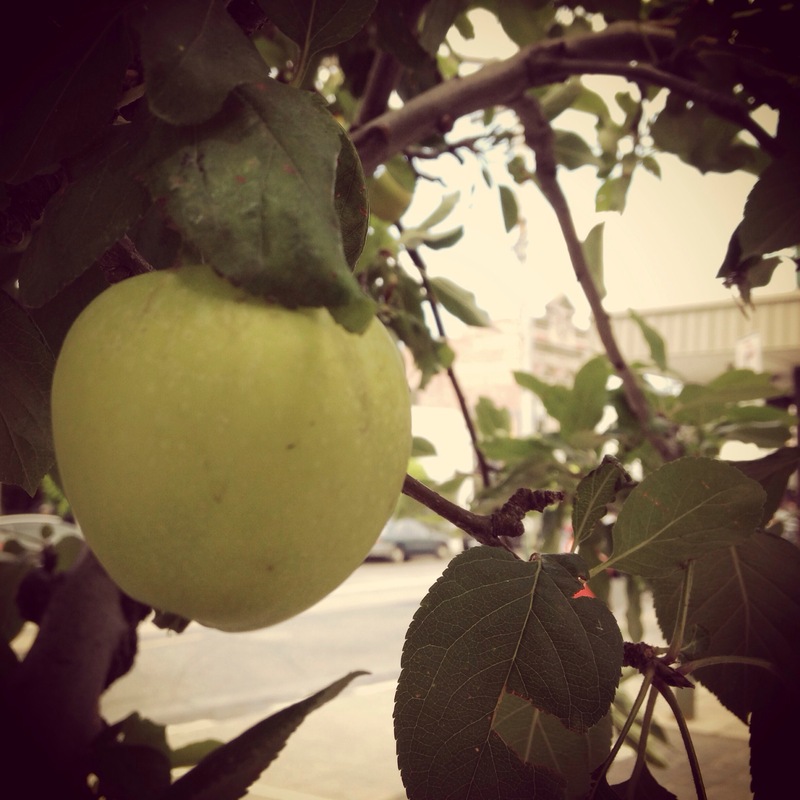 A beautiful apple tree was fully adorned with fruit in one of the high streets. And a pear tree was laden, making me dream up a poached pear with cinnamon and ice cream dessert. Street foraging is already popular in California, USA, and I think it’s fabulous. If you have a nature strip that’s needing a little TLC, why not plant a fruit tree? It will brighten your place with its foliage, and even more so with the conversations you’ll have with passers by admiring your tree. You might even make a new friend, because there’s nothing quite like the feeling you get when someone gives you food of which they are the custodians! Last night was such a beautiful summer evening and we decided that dinner needed to be outside! Hubby had been slow roasting a shoulder of lamb all day after being inspired by a Mediterranean recipe. When I think of roasting, I think winter warmers with crispy potatoes and lashings of gravy. But Hubby has shown me a whole new way to eat roasts in warm weather! And, I must say, it was delicious! 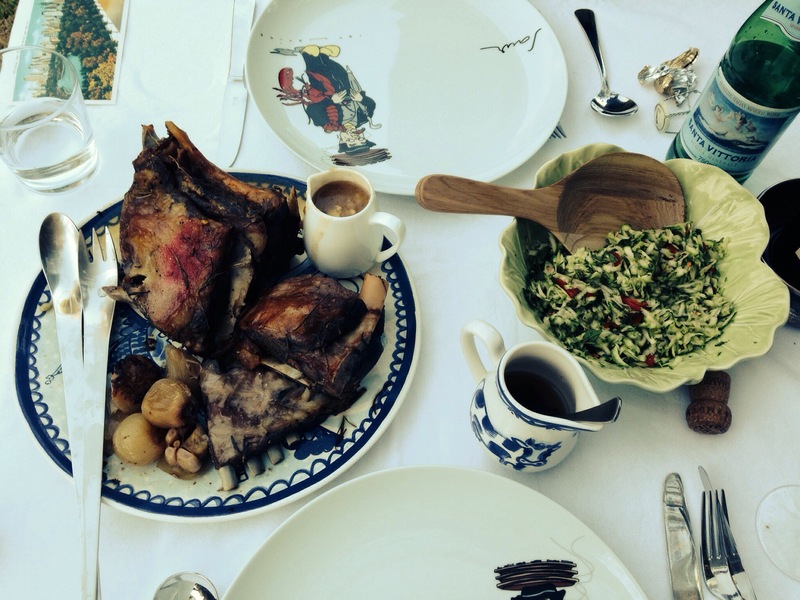 Summer evenings are wonderful when spent with lovely company and excellent food!